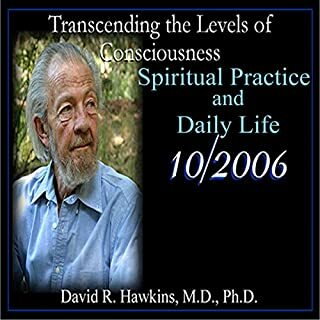 Dr. Hawkins' previous books focused on advanced states of awareness and enlightenment. Over the years thousands of students had asked for a practical technique by which to remove the inner blocks to happiness, love, joy, success, health, and, ultimately, enlightenment. 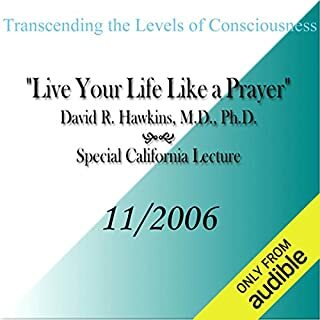 This audiobook provides a mechanism for letting go of those blocks. 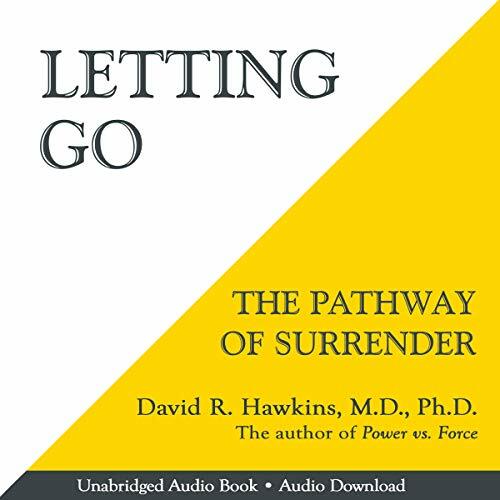 The mechanism of surrender that Dr. Hawkins describes can be done in the midst of everyday life. 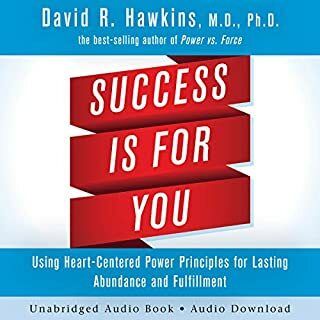 This audiobook is equally useful for all dimensions of human life: physical health, creativity, financial success, emotional healing, vocational fulfillment, relationships, sexuality, and spiritual growth. A great reminder to release the need to control what we can’t, to be present and accepting of situations opens up the space for alternative solutions. Some say it was long but I like these type of books, the repetitiveness engrains the teaching in your mind. The content is great but spread across 12 hours. I think they could have condensed the content into 3-6 hours. 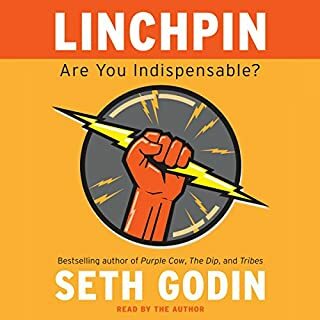 It was easy to listen to this book!! The reader's voice wasnt annoying like other books I've listened. And the content of the book is very interesting. I might have enjoyed this book had I read it word for word . There was some good chapters I appreciated, especially on the body and health. Digs deep inside our psyche. Would listen to it again. 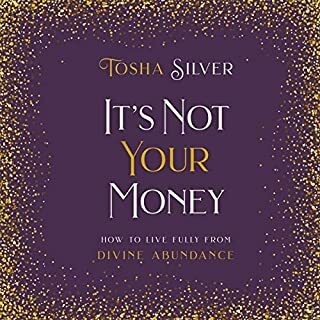 Trully life changing book for anyone. Even if you are arleady familiar with and practice sutrendering... It's very clearly explained and argumented. This simple technique is all you need. Don't be blinded by all new age books and techniques that offers only temporary releases and experiences. This is a way of living every single day that will lead you to a true liberation. 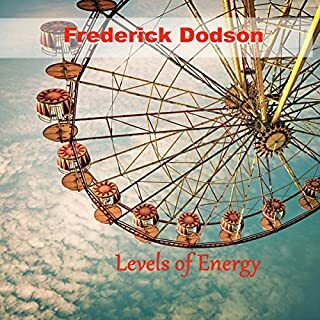 You can clearly feel that the book is written from a very high frequency state. An excellent book in which I've learned a lot.. iv put some of the methods into practice and they work. It is considerably long like others have said. However when you think of the years of suffering it is not so long. It is a simple approach but I would have liked some in depth detail on a daily practice to keep advancing. Without practice everything learned soon dissipates. It makes so much sense though and you don’t have to be a believer in God. There are some interesting facts that help us understand what it takes to become a better person. The next step in your spiritual journey. Feeling stuck in health, financial, relationship, mental or spiritual problems? Learn to surrender. This book teaches you how and why it’s important. A simple all encompassing technique that will improve your life. We all know the truth that if we are dissatisfied with our lives, nothing will change until we change. But how to genuinely do that beyond just the words or the intentions? 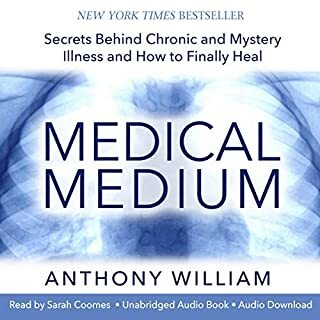 This author speaks from his own, as well as his patients, experience to share a simple process that brings more freedom, joy, and love into our lives. Just try it with 100% daily focus for 2 weeks and you WILL see an improvement. What did you love best about Letting Go? That you could validate the information for yourself, instantly, was a very rare gift. What other book might you compare Letting Go to and why? 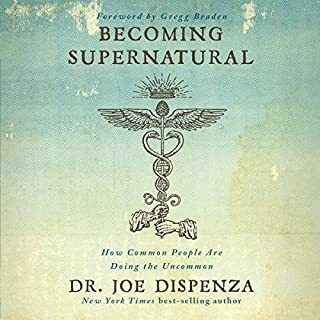 Many books on matters of the human mind, experience, or spirit, and or matters of spirituality, use esoteric sounding language and teachings of the ancients to fluff-up what is being presented--it all sounds very impressive--which the reader is then largely expected to take on faith. 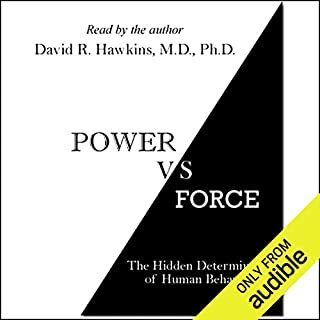 Not so with Hawkins' work; He tells it like it is, and shows the reader exactly how we may experience the truth of this work for ourselves, right now, as we read. I have nothing to compare Letting Go to because I don't know of other books like this. It is a unique writing. Absolutely Wonderful! A true gift to the world. 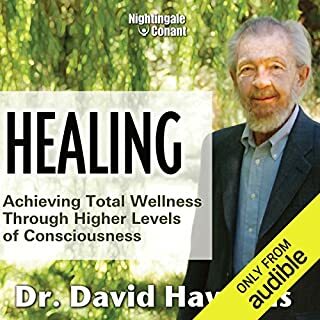 Dr. Hawkins set out to help alleviate human suffering--no easy task--and his work Letting Go is a must have manual for anyone with a human life. Suffering comes about as a consequence of simple misunderstandings, about ourselves, and others. Thank you Dr. Hawkins for all your work. 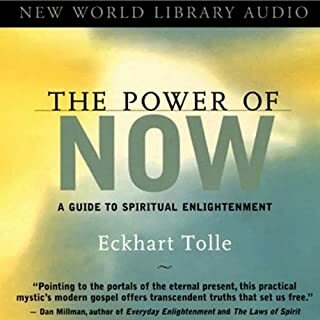 all of the books that I have read by this author have made me more aware, accepting, compassionate and full of gratitude for the spiritual path towards enlightenment. Life changing. 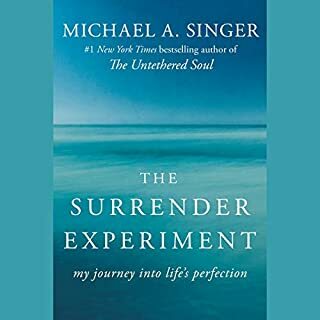 I listened to the entire book and never heard the method for letting go! Where was it? The premise of this book--letting go of negative feelings--is a good--if not excellent--premise. The first chapter's hook is thorough and humorous. Lownds is a fine narrator. The execution of this book, however, is a step short of complete failure. 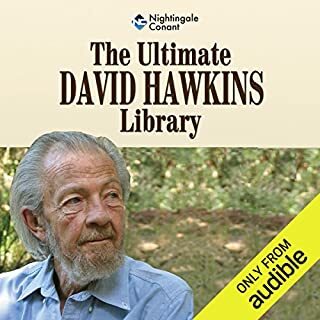 Hawkins' rhetoric on the benefits of "this technique" (as he frequently refers to the act of "letting go") is pleasant--if not healthy and beneficial listening. But when he dives into his scientific proofs of these benefits, he sounds like a complete fool. There is no quality science or evidence to be had in any page of this book. 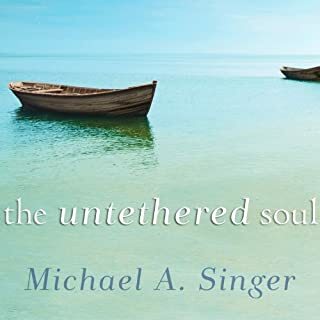 There are good takeaways from this title, but for a wholly more satisfying read on this topic, turn to Michael Singer's "The Untethered Soul." Don't waste your credit here. My key takeaways from "Letting Go:"
- The hierarchy of negative emotions: apathy, guilt, fear, anger. Courage is the breakthrough to the positive side of the spectrum. - Guilt steals our past and present. Fear steals our present and future. - The three states of consciousness: inert, excited, peaceful. - The ego can be credited as the source of all sadness. The book is about letting go. The author goes and and on, chapter after chapter, about how great it is to "let go". However, he never gives you any techniques or directly applicable advice on how to actually "let go". Very disappointing. Returning the book. Just trying to help other potential listeners from a wasted credit. 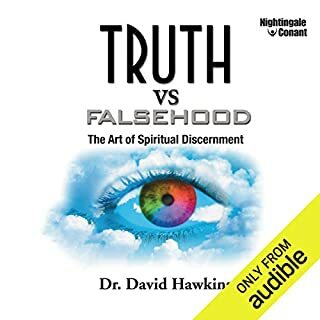 Completed in the last year of Dr. David Hawkins life, this book is a masterpiece summation of his teachings. Written in easy to understand language, well read by Peter Lownds, "Letting Go" guides you through steps to free yourself from feelings and emotions that are blocking you from true happiness. This is the best book of its type that I have ever read. I wanted to like this book so much and thought it would be really good and it wasn't. 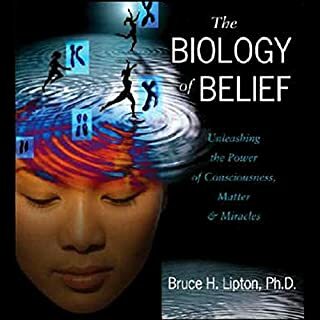 It's a reasonable primer for psychology students in that you do learn some new good information but the KEY issue is "letting go" and that's what he never, ever gets into as to how to do that. Chapter 2 is a rough idea, but no examples or imaginary scripts of the inner dialogue that needs to be exchanged to help us learn how to "Let go" of basic feelings. First of all you need to be in therapy just to know what your biggest problem is in order to know who you are and what to be alert for, and most of are not as helping people by doctors today is a multi billion dollar business few of us can afford while most people never do get better no matter how much they spend. 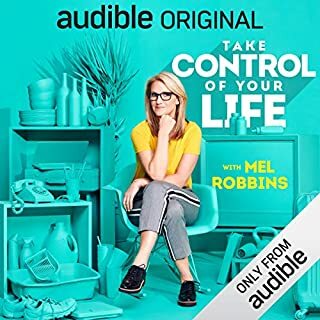 THE CRUX of the book should be how to implement "letting go" ,and yet that's the least of the priorities discussed, so I didn't like the book at all and I listened to it twice just to make sure I didn't miss something. Amazing! A must have!! 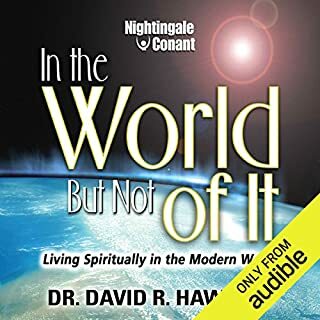 This book is life changing and definitely worth listening to again and again!